I recently embarked on an epic journey to Ireland. It has been on my bucket list for as long as I could remember. I pictured myself on the rolling green hills that kissed the ocean. I saw myself overlooking the rocky shores writing my first novel or just enjoying the melodic Gaelic that the people spoke. What I didn’t expect is to fall in love with the food. I decided that I wanted to bring Ireland back to my kitchen. I wanted to wrap my children in the love I felt with each bite of my tea brack. Tea brack is a whole wheat bread bursting with fruit. It is the perfect start to your day and the treat that will get you over your midday hump. When I looked at the recipes I came across several ingredients that I wasn’t sure about. That happens when you try to use a recipe you received in a country that isn’t yours. 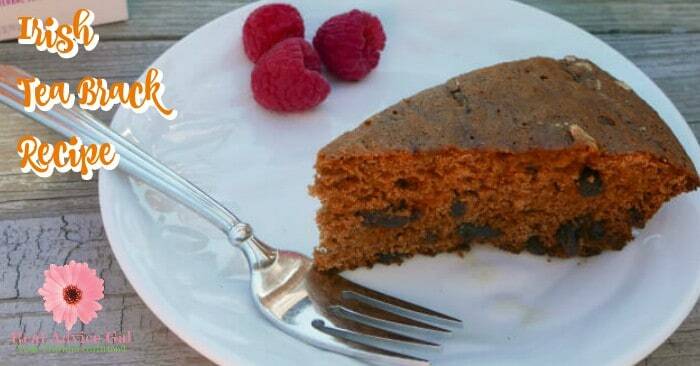 The recipe for tea brack or Irish Fruit bread used Caster Sugar. Caster sugar is a fine version of our granulated sugar. I didn’t and my Tea Brack came out just fine. You see Caster sugar is really nothing more than granulated sugar that has been ground to a super-fine consistency. I just threw mine in the food processor to make sure it was extra fine. I would like to share my Easy Irish Tea Brack Recipe. This is a two part recipe. The first part of the recipe will take 5 minutes but you will need to allow for the fruit compute cool for an hour or more. The longer you leave the fruit to swell in the liquid the better. 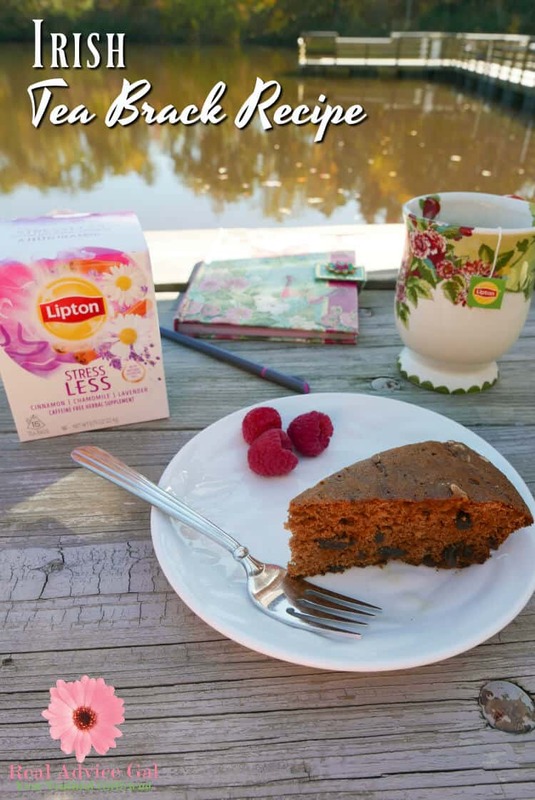 You will need to brew one cup of Lipton tea. In a bowl combine the brown sugar, Lipton tea, and the fruit. Let them sit for 1 hour or all night to make sure the fruit fills with the sweet tea. You will need to make sure that the mixture is cool before stirring it into the base of the Brack. Once that mixture is cool preheat your oven to 325 degrees. Using the butter grease your round cake pan. Then in a bowl mix together the salt, baking powder, whole wheat flour, and the egg. Then take your fruit mixture and gently fold it into the dry mixture. 325 degrees for 60 minutes. I will tell you this will smell fantastic in the oven. You can serve this for breakfast or snack. The tea in this tea brack recipe infused an herbal taste that gave a wonderful treat to my taste buds. I enjoyed it with a cup of hot and freshly brewed Lipton Stress Less. 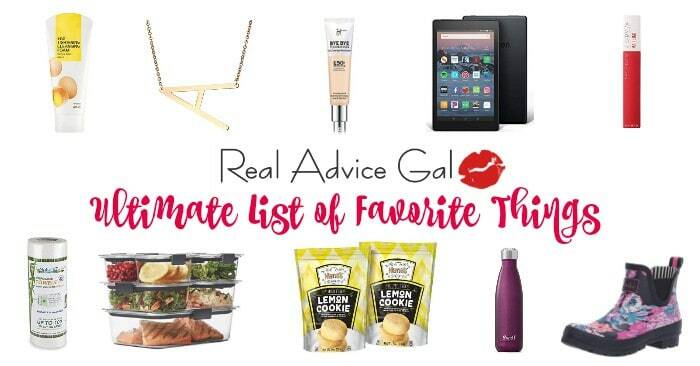 If you want to unwind and have some “me time” to destress, I highly suggest this combination. 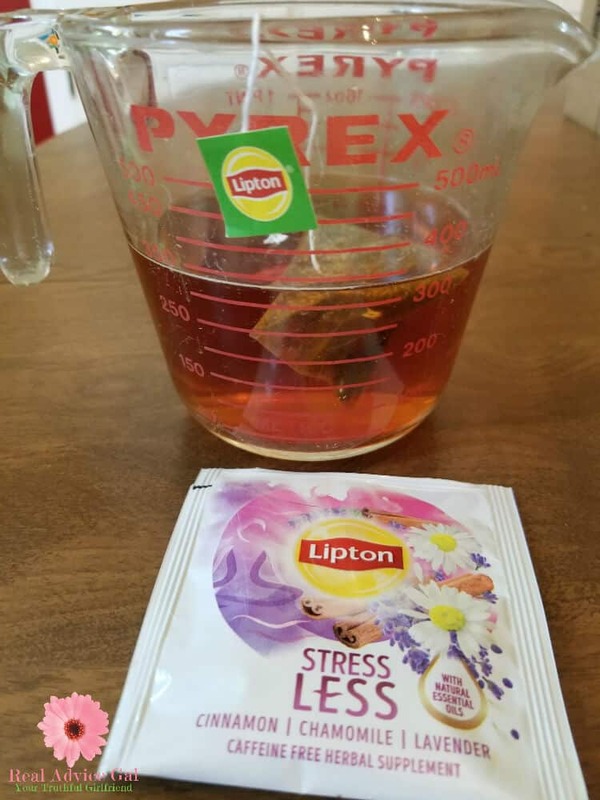 Lipton has just released their new teas, Stress Less and Detox which are perfect for the coming cold weather. 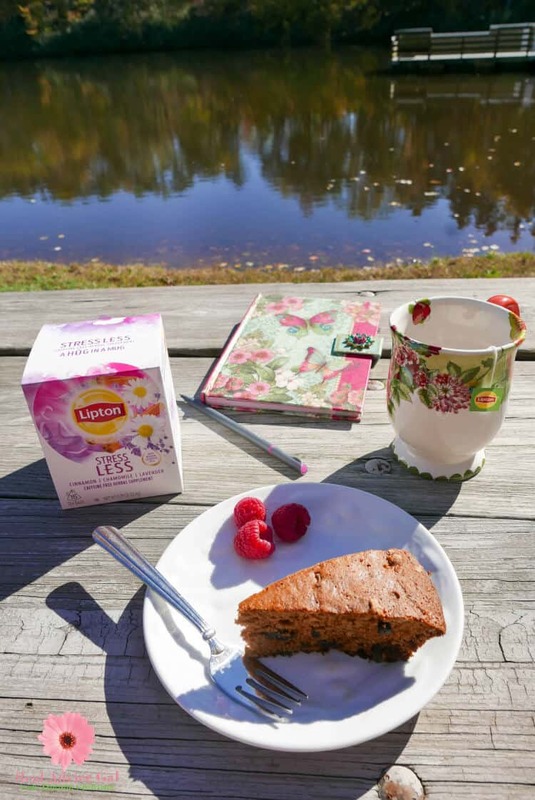 With selected herbal blends with botanicals and essential oils to support overall wellness, these teas are warm and comforting making it the perfect drink to your healthy lifestyle. 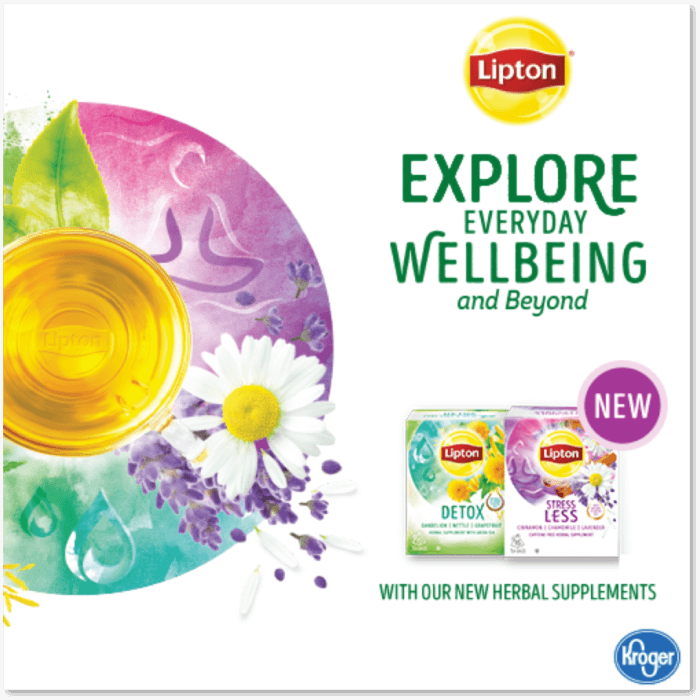 Lipton Herbal Teas are now available at Kroger.